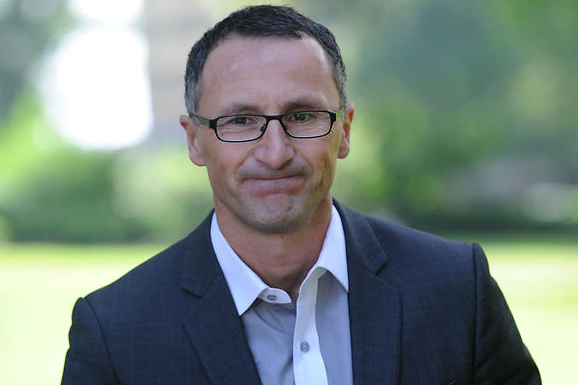 The recent call by The Greens leader (in cahoots with his fellow-Greens’ dickhead, Nick McKinn) to allow 20,000 unwanted Rohingya refugees to be dumped on our country is a good reminder of the origins of Di-Natale’s nickname, ‘Dr Death.’ ‘Death’, as in ‘Death to Australia’ is Di-Natale’s most urgent business at hand and he clearly wishes to administer it in the most efficient manner, which is of course to destroy Australia from within by administering it with a lethal injection of totally unassimilable Muslims. Muslims who, having long proven their inability to assimilate even in their own country, so much so that even normally ultra-peaceful, ultra-harmonious Buddhists want to kill them, Dr Death and that other idiot want to come here. 20,000 Rohingya Muslims, who, according to a recent BBC doco, even other Muslims in Myanmar want to chuck out, Dr Death thinks will do just fine here. Even the famous, beautiful, Western-educated, articulate, highly-intelligent Aung San Suu Ky, the darling of the Left – gushed, slathered and fawned over by The Green Left for decades – has come to her senses and decided that the Rohingyas should all f**k right off back to Bangladesh where they came from. But, no, Dr Death believes 20,000 of them would be ideal to bring here. Just to f*ck up this country instead. A good dose of 20,000 Rohingyas, with a 50-odd year track record of terrorising and murdering non-Rohingyas hard-wired within them: this is what Dr Richard Death Di-Natale has prescribed as medicine for Australia to, cure us of all its ills, once and for all, by killing us all. This entry was posted in Nick McKinn, Richard di Natale, Rohingyas and tagged Dr Death Di Natale, Dr Richard Di Natale, Nick McKinn, Rohingyas. Bookmark the permalink.